Fabulous report Karl, with so much information, to was a pleasure to read. Thanks for the effort and detailing. Lovely write-up & pictures, Karl! Your threads are always a treat to read. The attention to detail, pictures & your knowledge about the vehicles & their history. 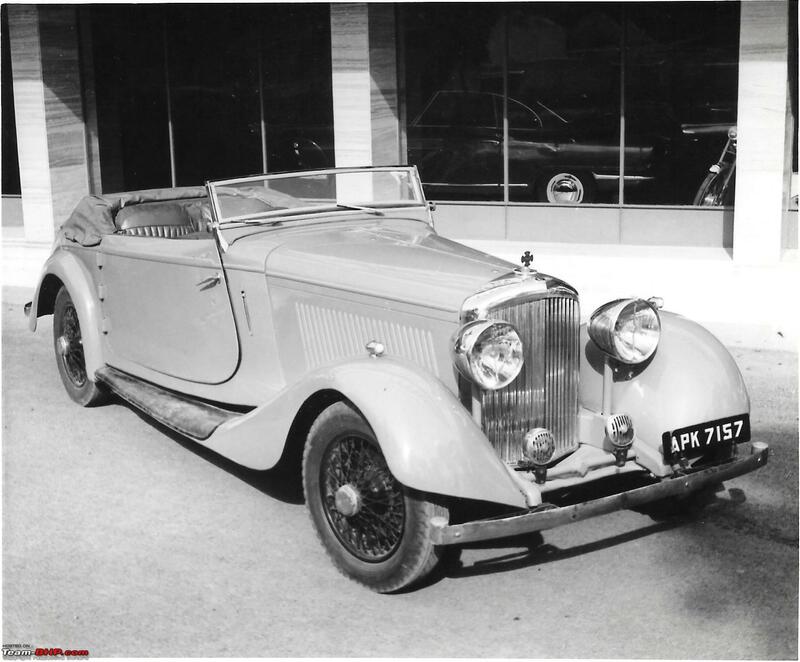 The car when on sale in Indore I assume in the 60s. Picture from Faster789's fabulous archives. Don't miss the hood ornament. I wonder what it is. The hood ornament looks like a "Maltese Cross". Thank you Karl for making us "poor non-Pebble-Beachers of the West" live this event through these superb photos and descriptions. I am happy for the Amir, his Phantom will never quit my dreams. I also have a special connect to the FIAT and am so happy it was invited to Pebble Beach. Above all I congratulate all the Indian contingent: my Ambassador resurrector Kaizad (who has now moved quite up the ladder! ); Marespand the FIAT, Rolls and-everything-else high priest; all the owners of those splendid cars and Karl for being the official reporter (when will YOU get a trophy for you special contributions?). I am very proud to have met most of you! Lovely badge Karl, thanks for sharing. 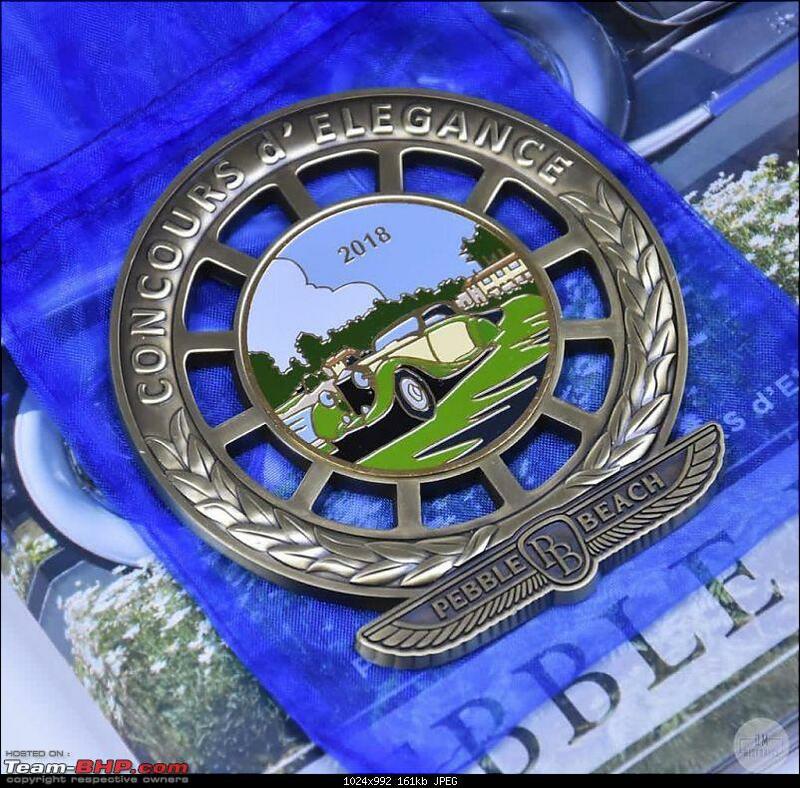 But did Pebble Beach guys issue this or was it made in India? 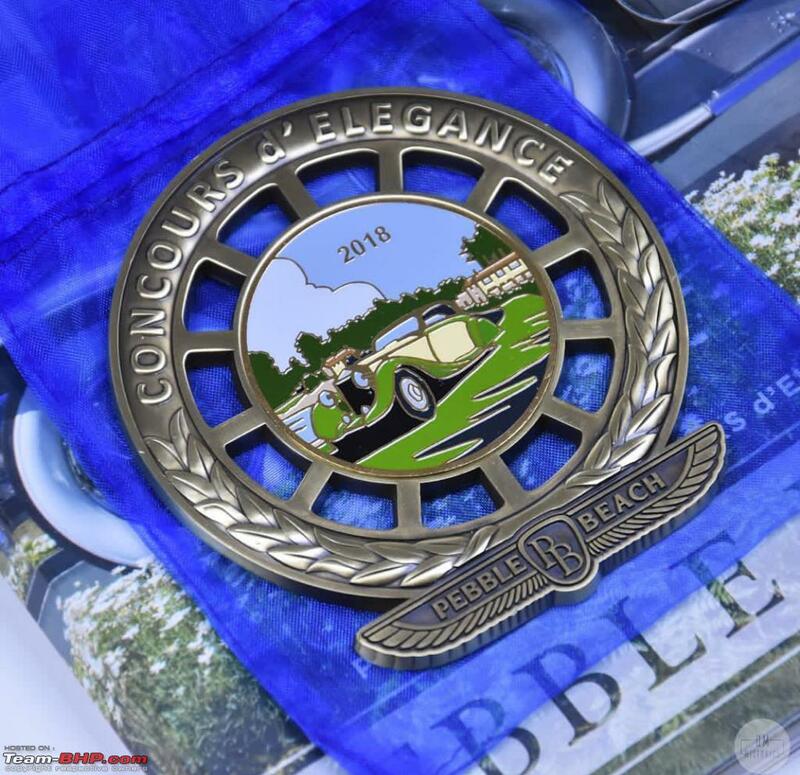 I assume issued by Pebble Beach themselves, as one of the class judges had shared a picture on receiving one. Subject to correction. Sometimes Tweety bird gets it wrong.